Copper scrap in Europe has a gloomy outlook compared with aluminum. According to several scrap recyclers, China and other Asian consumers are showing interest in purchasing copper scrap. Reports reveals that demand for copper in china will grow more than 8% annually in next 5 years as China consumes copper to develop its power infrastructure. As a result, German companies expect that they can assume a continued output of concentrate processing and a cathode at the same high prior-year level. Many exporters have kept their eyes open on China’s future role in the copper scrap market. There are lot of structural changes happening in China and these changes could affect the direction of copper into china. However, they state “How will they value their currency? How will they go through their inspection process? What will their regulatory direction be?”. 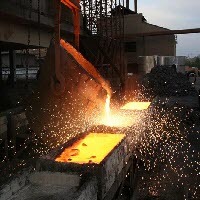 Despite of the uncertainties, china manages to drive copper prices to the $4-per-pound level and has been a strong force during the first few months of 2012. According to the recent report by The Wall Street Journal comments that in the past five months China have doubled in copper inventories.